THIS HALLOWEEN NIGHT, WE PLAY IN COSTUME! 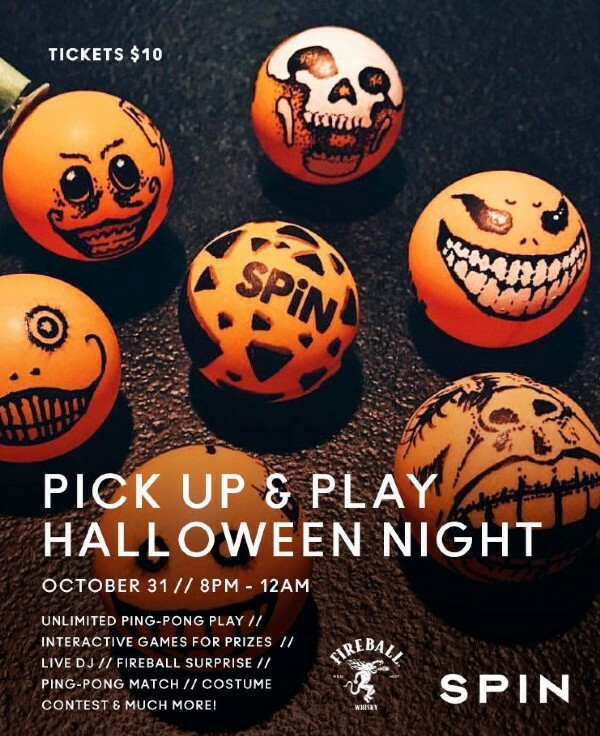 SPiN Philadelphia invites you to the ultimate ping pong experience… but this time it’s Halloween themed. Come dressed to impress, compete for candy, challenge our Professional Monsters, join an interactive social game and get involved in what’s clearly going to be the spookiest ping pong night ever! There are a LIMITED NUMBER of FREE RSVP tickets. ...and get ready for a night of fun!